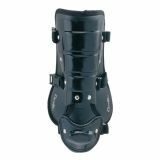 AIMS Leg Guard, PORON XRD 950 Series, Adult, 16"
Adult AIMS 950 Series leg guard features PORON XRD technology in the knee for impact absorption; conforming lightweight design for comfort and mobility; triple knee for protection; patented Supertoe for instep protection, 16", Black. 5-Pad Girdle is made of 82% polyester and 18% lycra with 1.5" woven elastic waistband. 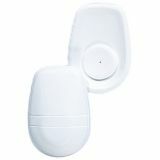 Includes 2 hip, 1 spine and 2 hard thigh built-in pads with cup pocket. Durable contrast stitching. 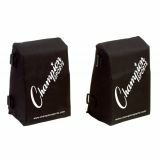 Protect your shin when stepping up to the plate with the Champion Sports Batter's Shin Guard. 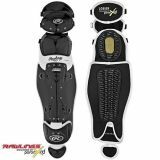 This universal shin plate is designed to reduce the chance of injury to the shin, ankle, and foot while batting, and has 3 convenient quick release buckles. 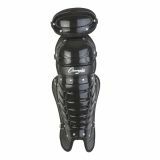 The Double Knee Shin Guards with Wings offer superior comfort and protection. These shin guards provide maximum flexibility and movement with contoured wraparound padding, full wings, and padded double knees. Recommended for players ages 7-9. 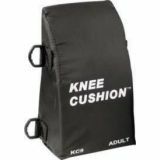 The Double Knee Shin Guards with Wings provide maximum flexibility and movement with contoured wraparound padding, full wings, and padded double knees . These shin guards are for recommended for ages 9 to 12. 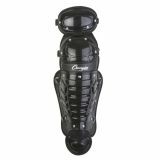 The Double Knee Shin Guards offer superior comfort and protection. 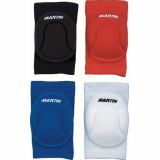 These shin guards provide maximum flexibility and movement with contoured wraparound padding and padded double knees. These shin guards are for recommended for players ages 9 to 12. Keep your legs safe from wild pitches and foul balls with Pro Adult Double Knee Baseball Shin Guards with Wings. 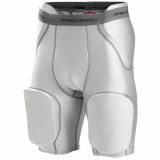 They provide maximum flexibility and movement with contoured padding. The full wings and double panel knee caps offer a customized fit. 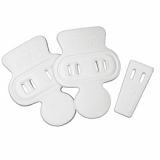 Hip Pad XL Lite High Rise is an extra-light hip pad for ultimate protection. Varsity level.